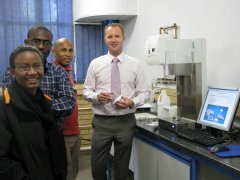 A team of researchers at the Council for Scientific and Industrial Research (CSIR) in South Africa has taken delivery of an FT4 powder tester from Freeman Technology. 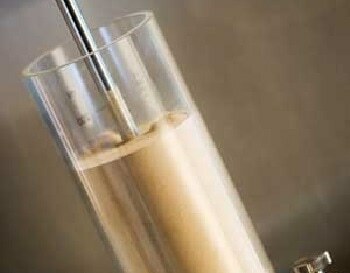 The system is being used in work that involves understanding and controlling the behaviour of powders used in the production of metal components. Installation of the FT4, complete with a two-day, on-site training program conducted by a specialist from the Freeman team, took place in May. CSIR is one of Africa's leading research establishments. The FT4 is being used in the Metal and Metals Processes area, part of the Materials Science and Manufacturing Operating Unit. 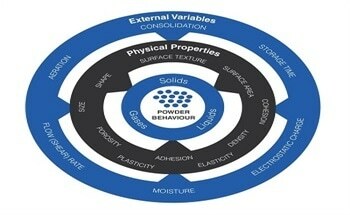 Scientists using the system are responsible for material characterisation and developing new materials and processes for manufacturing powdered metals. They have a particular interest in die filling and making pressed metal components for the aerospace, automotive and medical industries. The high value of many of the metal powders, which include platinum and titanium, means that often only low volumes are available for investigation. 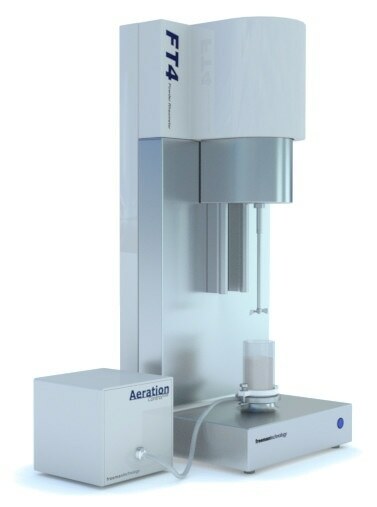 With its ability to work with just 25 ml samples for dynamic measurement and down to as little as 1 ml for shear cell testing, the FT4 enables the rapid and fully automated characterisation of these powders.